Landscape was an established genre in the eastern art tradition by 4th century AD, but in the western art world, landscape painting as an independent genre began only after the era of Renaissance art. Prior to that, the scenery acted merely as a background for human activity. Netherlands was one of the first places in which landscape art became popular and the Dutch Golden Age (spanning the 17th century) was critical in developing the genre. In fact the term landscape is derived from the Dutch word landschap. 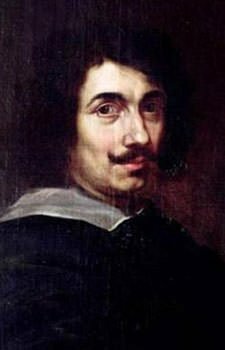 Apart from Dutch artists like Jacob van Ruisdael and Aelbert Cuyp, among the first artists to concentrate on the landscape genre were the French painters Claude Lorrain and Nicolas Poussin. However, landscape was still ranked below history, portrait and genre painting and only above still life. It was the English painter JMW Turner who began elevating landscape to the status of other genres through his masterpieces. In the 19th century, French Impressionism stormed the art world and many of its artists, including Claude Monet, Camille Pissarro and Alfred Sisley, devoted most of their careers to studying and painting the landscape. Since then, the genre has remained important. Know more landscape art through the 10 most famous artists of the genre as well as their most renowned works. The Dutch Golden Age was a period in the history of the Netherlands in which Dutch trade, science, military and art were among the most acclaimed in the world. It made an enormous contribution in steadily growing the importance and popularity of landscape art. 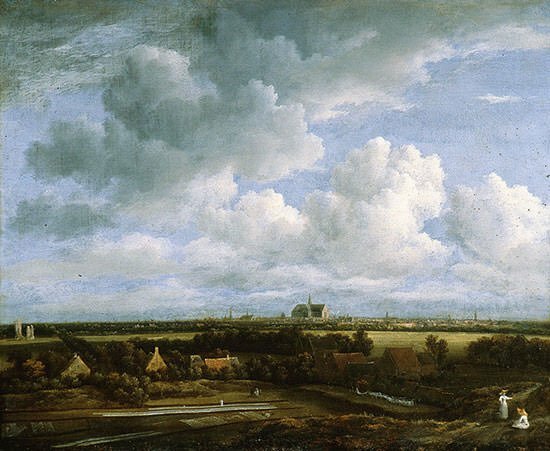 Jacob van Ruisdael is regarded as the pre-eminent landscape painter of the Dutch Golden Age. He gave landscape art a new dimension by portraying nature as a metaphor of the dark aspects of human psychology. Simple woodland scenes were his favorite subjects and he is particularly famous for his spirited portrayal of trees and cloudscapes. A pioneer of the genre, Ruisdael produced some of the most breathtaking landscape paintings ever created. His art greatly influenced landscape artists for centuries and paved the way for the popular Romantic style of the 18th century. Romanticism was a movement which hugely influenced western art in the first half of the 19th century. It found its primary expression in the U.S. in the works of a group of painters of a movement known as the Hudson River School. They captured the beauty of America through landscape paintings executed on canvases of epic proportions. The Hudson River School played a key role in the development of the landscape genre and Thomas Cole was the founder as well as the most renowned artist of the group. He is most known for his paintings of the American wilderness. These romantic portrayals convey a sense of awe at the vastness of nature. 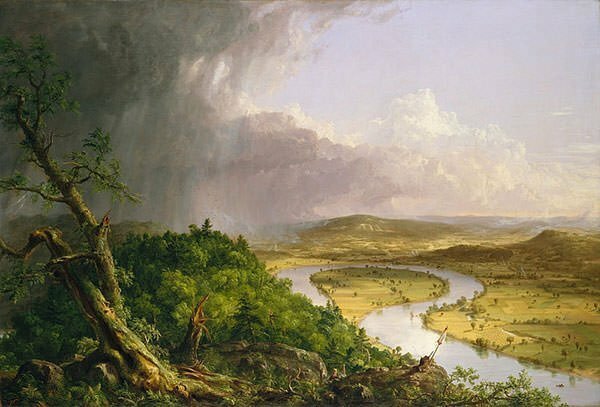 The most famous among these is perhaps The Oxbow, which depicts a panorama of the Connecticut River Valley just after a thunderstorm. The classical landscape, which tried to evoke the landscape of classical Greece and Rome, was born in the 17th century. In it, each object was carefully placed to present a harmonious, balanced and timeless mood. 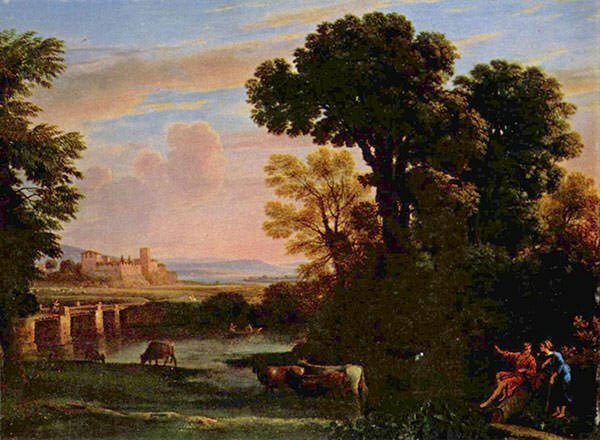 Claude Lorrain, along with Nicolas Poussin, perfected classical landscape art. He combined dream-like visions of an ancient past with beautifully observed effects of dawn and sunset. The landscapes of Lorrain often feature a few small figures. Thus his paintings also represents a scene from the bible or classical mythology. He was also innovative in including the sun itself as a source of light in his paintings. 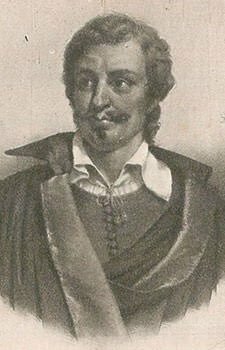 Claude Lorrain was one of the first important artists to concentrate on landscape painting and he has been called “the most perfect landscape painter the world ever saw” by John Constable. The Barbizon school was a movement involving a group of painters who, around 1848, settled in and around the French village of Barbizon near the Fontainebleau forest. It is regarded as the strongest movement of purely landscape painting in 19th century France. 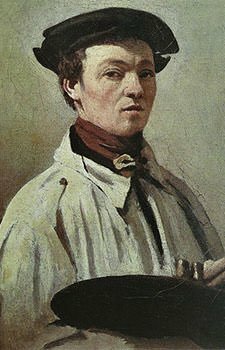 Though Camille Corot never settled in Fontainebleau, he captured the area in some of his best known early paintings and he is thus regarded by many as part of the Barbizon school. Plein air is the act of painting outdoors. The Barbizon school first popularized plein air painting and Corot’s plein air works have been much praised by critics for their faithfulness to natural light and their avoidance of academic values. 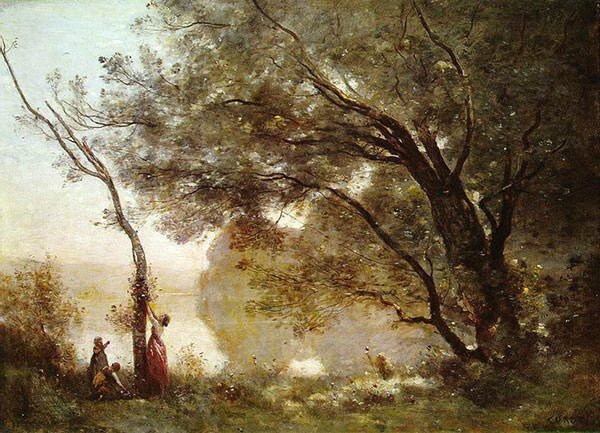 However, Corot always returned to the studio to fine tune and finish his works. Camille Corot is considered a pivotal figure in landscape painting, who, to an extent, anticipated the landscapes of the Impressionists. Romanticism laid emphasis on emotion and individualism as well as glorification of the past and of nature. 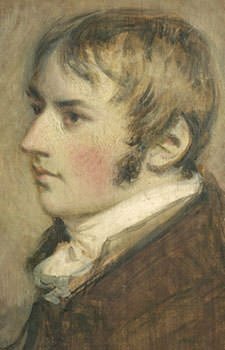 Romantic English artists favored landscape and the most influential among these was John Constable. 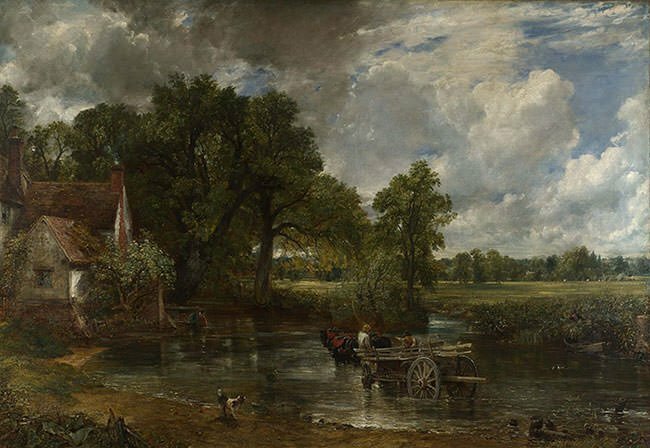 Constable was deeply attached to the area where he was born, the Essex-Suffolk border in east England. His most celebrated masterpieces depict the landscape of this area, which is now known as Constable Country. Constable rebelled against the Neoclassical style; which used standard practices while creating landscape art and mostly used it to display historical and mythical scenes. He instead focused on nature itself to bring out its beauty and power. Constable never achieved financial success. He sold only 20 paintings in England in his lifetime. However, he is now regarded as a great artist who made an invaluable contribution to the genre of landscape painting and produced some of the most captivating pictures of England by any artist ever. 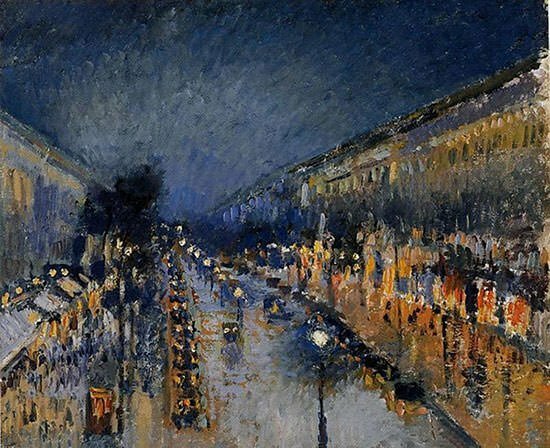 The middle of 19th century saw the rise of Impressionism, a French art movement in which artists focused on capturing the momentary effect of a scene rather than accurately depicting it. The Impressionists broke away from artistic traditions and instead focused on accurate depiction of light, candid poses and vivid colors. Moreover, they made France the center of the art world and landscape as one of the most important genres. 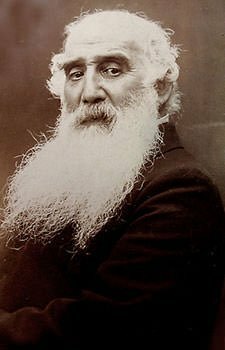 Camille Pissarro is referred to as the “dean of the Impressionist painters” as he was a pivotal figure and mentor within the movement. While his initial landscapes showed his profound knowledge of 18th century French masters, he later started painting en plein air. He depicted peasant subjects in natural settings and focusing on light effects and atmospheric conditions created by the change of the seasons. Pissarro is regarded as the quintessential landscape painter of the Impressionist movement. Caspar David Friedrich developed a significant reputation in his early career. 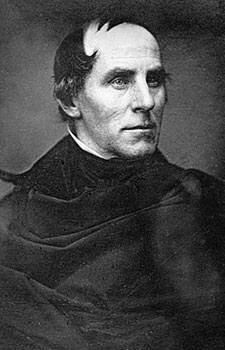 However, his reputation declined in his later years as critics, who failed to understand his work, severely attacked it. He died poor and in obscurity; and it was not till the middle of the 20th century that he found favor with the new generation of critics and art historians. 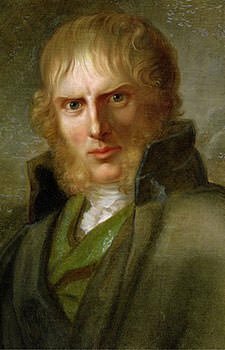 Today, Friedrich is an icon in Germany, is internationally renowned and is considered the most important German Romantic artist. He is viewed as a figure of great psychological complexity, “a celebrator of beauty haunted by darkness”. 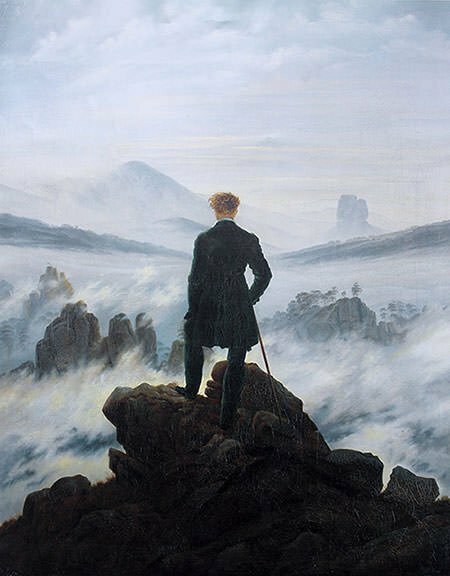 Friedrich is best known for works which put humans amid night skies, morning mists, barren trees, etc. thus illustrating diminished strength of man in the larger scale of life. He was fascinated by nature and could see the presence of the divine in it. Freidrich took landscape art and infused it with deep religious and spiritual significance. He is considered one of the most important artists in the genre. 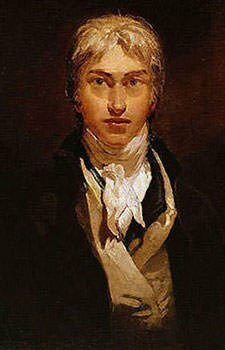 Joseph Mallord William Turner is one of the greatest landscape artists of all time and perhaps the most renowned British artist ever. During his time, landscape painting was considered low art. Turner, with his application of poetic and imaginative approach to landscape art, elevated the genre to rival history painting. His dedication to render heightened states of consciousness and being, helped define the Romanticism movement. 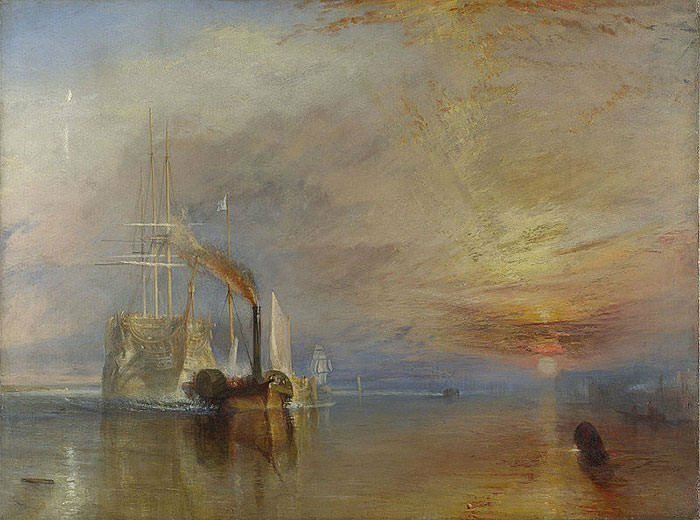 Turner is known for his mastery in capturing the effects of color and light which made him famous as “the painter of light”. He precisely captured architectural and natural details in his early works but in his mature stage, his compositions became more fluid with mere suggestion of movement. These abstractions are considered ahead of his time and were a forerunner to Impressionism. A deeply experimental and progressive painter, J.M.W. Turner strongly influenced future generation of artists and changed the course of landscape art. 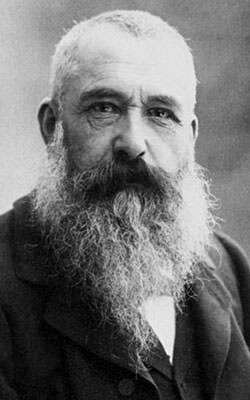 Claude Monet was a founder of Impressionism. He was the driving force behind this revolutionary art movement; and its most consistent and prolific practitioner. The name of the movement also comes from his painting Impression, Sunrise; a term which was coined in a satirical review. Monet was dedicated to finding improved methods of painterly expression. He broke tradition and thought in terms of colors, light and shapes. Some of his series explored how smoke, steam, mist, rain etc. affected color and visibility. He did this by painting the same scene many times in order to capture the changing effect of light and the passing of the seasons. 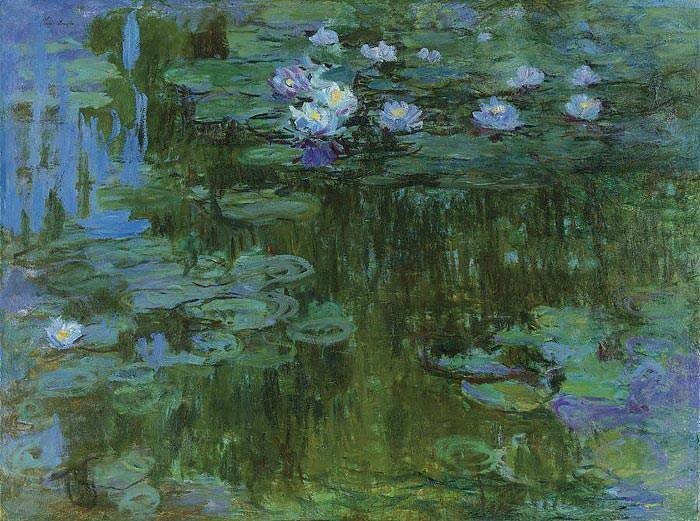 Nympheas (Water Lilies), the most renowned series of Monet which contains around 250 paintings, has been described as “The Sistine Chapel of Impressionism”. Claude Monet is the most famous French landscape artist and he is considered among the greatest painters who ever lived. 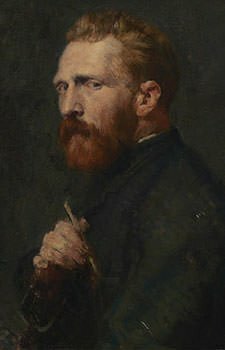 Vincent Van Gogh was a Post-Impressionist artist. Post Impressionism extended Impressionism in various ways like intensifying its already vibrant colors or distorting form for expressive effects. Van Gogh had a difficult life marred by mental instability. He ultimately shot himself in the chest with a revolver and died two days later. Van Gogh rose to fame in the early 20th century, a decade after his death, Ultimately he was credited with being not only a key figure in the development of modern art but also one of the most influential figures in the history of Western art. Van Gogh created about 2,100 artworks in just over a decade which include landscapes, still lifes, portraits and self-portraits. The art of Van Gogh, including his landscapes, is notable for its bold color; rough beauty; emotional honesty; and impulsive and expressive brushwork. 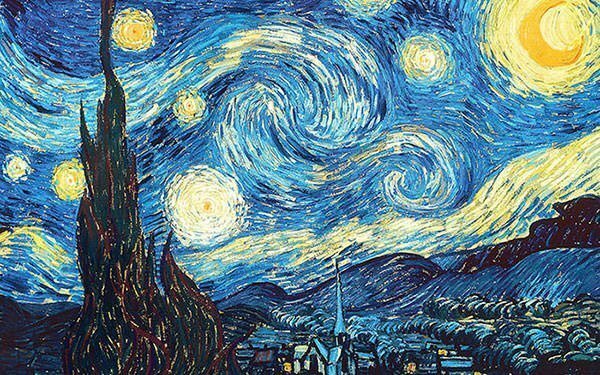 Vincent Van Gogh created some of the best known masterpieces in landscape art including his most renowned painting The Starry Night. He is the best known landscape artist.